Today, Tottie-Doll has come to visit her long time friend, Noreen-Doll, for a delicious cup of Twinnings Earl Grey tea and wonderful conversation. It has been a while since they have gotten to chat, because Tottie-Doll has just returned from an amazing journey, filled with wonders, and across many miles. She has interesting stories to share, as does Noreen-Doll. She loves to share her memories of a wonderful family she used to know, made of the elements of nature themselves. She is not sure whether these memories are real, or a curious dream of another life and land; but she cannot put them out of her mind, and so loves to share them with others. While they enjoy each other’s company, their fingers fly as they each work on their own fibery projects: Tottie-Doll is working on an embroidered pillow to rest her travel weary head. Noreen-Doll is just casting onto her needles an idea that has been twirling around her creative little head…a special surprise for a friend. Noreen-Doll is forever thinking up fun and wondrous things, and creating them upon a whim. Most of her ideas come from the same place as those misty memories of the stories she loves to tell. Her friends are often amazingly blessed by her gifts of generosity! Tottie-Doll & Noreen-Doll have talked the day away! It’s getting quite late! They bid their fond farewells, ’till next time when they can again enjoy each other’s company and sweet converstation. 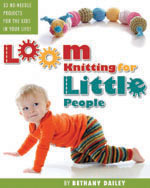 This entry was posted in Family Fun, Kids, Kids Crafting, Knitting, Loom Knitting, My Favorites. Bookmark the permalink. Thank you so much, Bethany! I am so happy to see that TeapartyTottie has settled into her new home :o) I am honoured that you have named another dolly after me- oh my! Just think, there are an infinity of dolly tea parties stretching out before us! hurrah! Love it 🙂 Did you use a wood doll house? I am thinking of picking up a wooden doll house for Tianna.